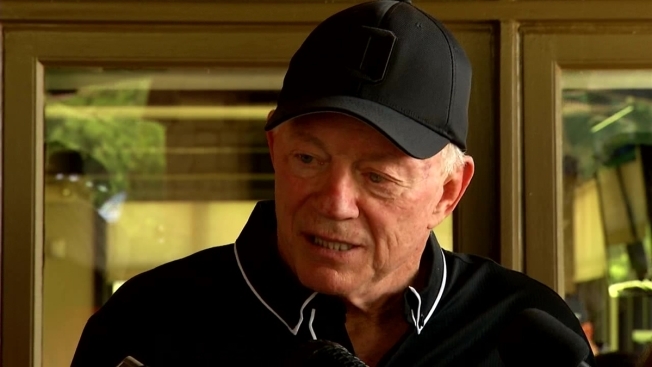 On Friday, Mike Freeman of The Bleacher Report published a report on the Oakland Raiders’ rumored move to Las Vegas that contains in it an interesting claim about Cowboys’ owner Jerry Jones. Namely the report claims Jones has been pressuring Raiders owner Mark Davis to sell the team, or relinquish control of it, for years now. Freeman points to Jones’ comments in support of the idea of the NFL in Vegas from last week: Jones didn’t just say he thinks the Raiders’ proposed move is a great idea without any qualifiers. He added that his support was dependent on if the Raiders had “the right ownership.” That’s an important caveat. The greater point of the report is actually that support for the Raiders' potential move to Vegas is gaining some serious traction. But it would appear even more likely to happen if it had the weight of Jones, one of the most influential owners in the league, fully behind it--and it doesn't sound like he's willing to put that weight behind the it until Davis is no longer running the show.